Chicago is one of the world’s great cities, and there are countless reasons why you should visit this Toddlin’ Town. While boutique hotels are certainly one way to go when it comes to accommodation, Airbnbs are often cheaper — or so incredibly unique that they’re worth the splurge. Whether you’re looking for prime location, rockstar digs, great value, or something totally offbeat, you’ll find it on our list of the coolest Airbnbs in Chicago. Uptown is a neighborhood with strong links to its past, including the iconic Green Mill jazz club and ballroom-turned-concert-venues The Aragon and The Riviera. This brownstone mansion connects back to a bygone era in exactly the same way while stylish amenities keep the home full of modern comforts. Being located at the southern edge of Uptown, the property is also very close to the Wrigleyville neighborhood but still somewhat removed from the busyness of that area. It’s hard to beat Old Town if you want a perfectly central location, and this eclectic loft is an especially great place to stay. The open floor plan, hardwood floors, exposed brick, 20-foot ceilings, and gorgeous interior design create a space that is as homelike as it is hip. With a pool table and a rooftop deck with skyline views, you might not want to leave. But if you do, Old Town is full of great bars, restaurants, and the legendary Second City comedy club. There are lots of luxury accommodations in downtown Chicago, but none are quite like this 68-foot luxury yacht moored in Burnham Harbor. 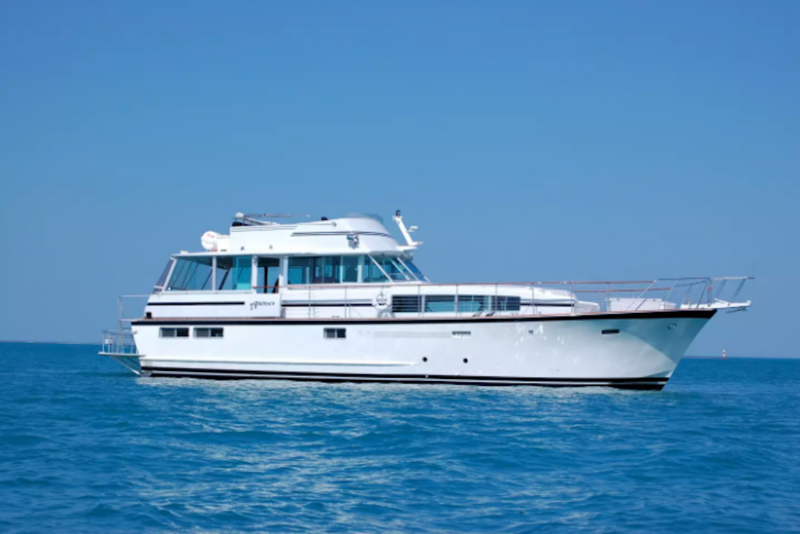 The three-bedroom, three-bath vessel is perfect for three couples or a family to share. The yacht is well appointed and stocked with treats, fresh OJ, Champagne, and more. Unlike a lot of floating Airbnbs in Chicago, this one stays moored to the dock at all times, so you don’t need to take a boat to come and go. But the host can arrange crewed charters if you would like to take it out onto the lake or river. No, you didn’t read that wrong. 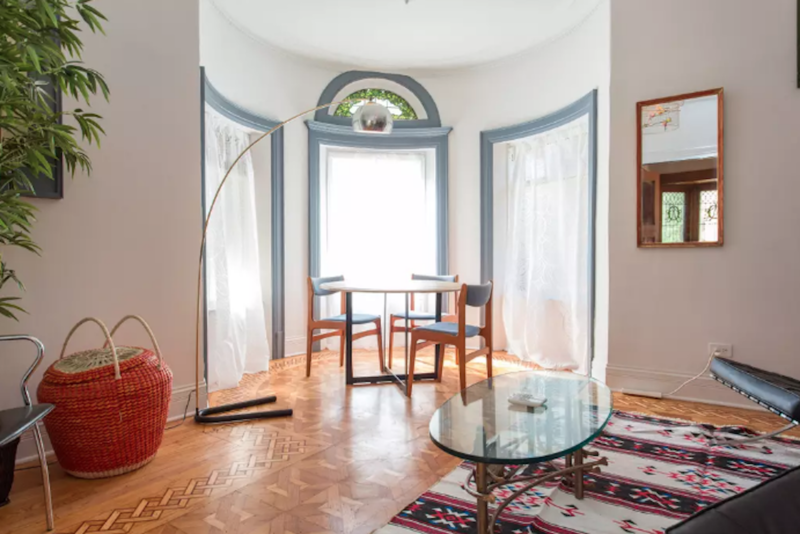 The Castle on Berwyn is one of Chicago’s most unique Airbnbs, and it comes at a surprisingly affordable price. There’s a piano you can play, gorgeous stained-glass windows, and room after room filled with Baroque, French, and Rococo antiques. The castle is on the National Register of Historic Places and can sleep four guests in its two bedrooms. This brand new designer home in a historic Grey Stone is an ideal place for a group of friends in town for a Cubs game, for a bachelor or bachelorette trip, or even a large family. The stylish home looks like it was designed for a single guy, but its simple style will work for anyone. 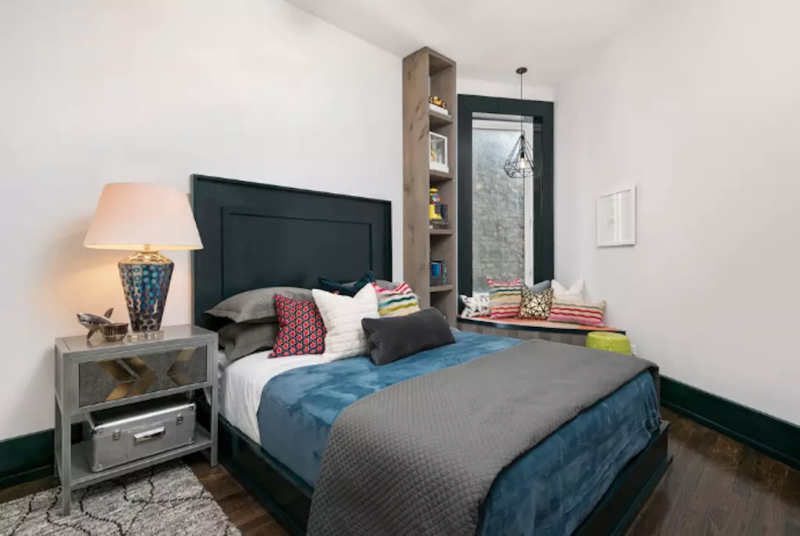 The home can take up to 10 guests in five bedrooms and is located right near Wrigley Field and the hundreds of bars and restaurants that dot the neighborhood. Connect to Chicago’s industrial past in this converted loft in a century-old building while enjoying modern style and convenience. This beautifully appointed home is ideal for a couple or small family and has a perfect location between Wicker Park and River North along the Blue Line train and Kennedy Expressway, which both run between downtown and O’Hare Airport. If you’ve ever wanted to stay in a mansion and you’re planning a trip to Chicago, we’ve got good news for you. Not only can you lounge around the pool at this luxury mansion in the northern suburbs, but it’s also not even that expensive when split between enough people. 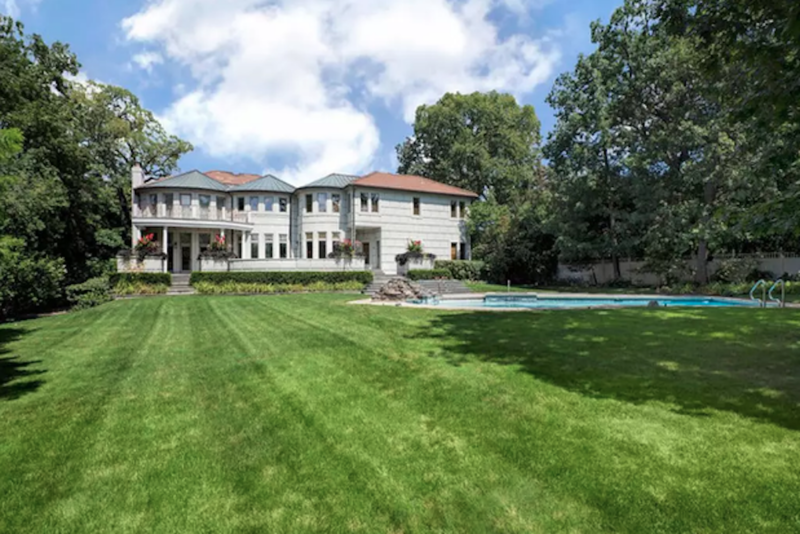 With a hot tub, pool with rock waterfall, grand piano, huge kitchen, dramatic entryway atrium, six bedrooms, and six bathrooms, you can truly ball out with your friends here. Oh yeah, it has a movie theater, too. This modern loft in Lakeview has industrial-chic design practically oozing out of the exposed brick walls and across the hardwood floors. The two-bedroom, two-full-bathroom space is perfect for two couples coming into town for a weekend concert or baseball game. The loft is steps away from the Belmont Brown, Red, and Purple Line train stops. Wrigley Field is just a 10-minute walk away, and the neighborhood is full of great cafes, restaurants, bars, and clubs. The neighborhoods of Wrigleyville, Lincoln Park, Boystown, and the lakefront are all within a mile. 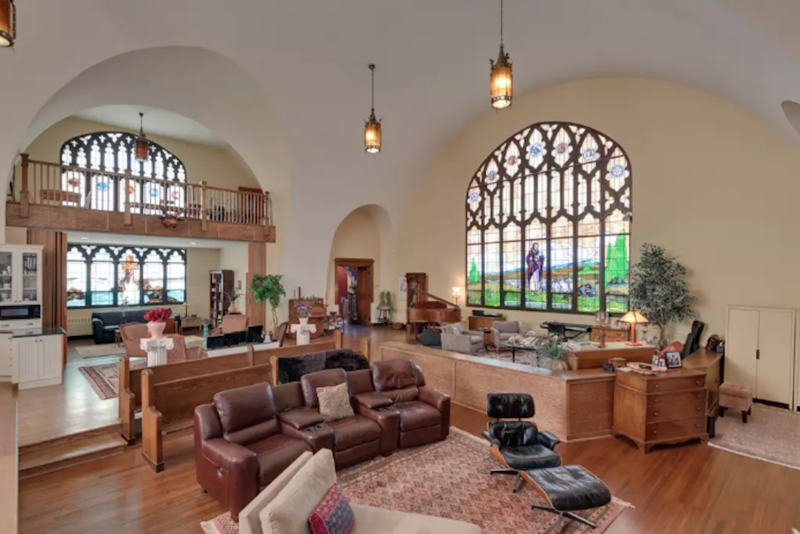 If you’re looking for something a little weird and totally different, this home in a converted church could be just the place for you. These digs are in a former Lutheran church built over 100 years ago and updated with modern comforts while preserving some beautiful elements of the space’s religious past. Technically it’s actually in Indiana, but Chicago’s city limits are just a few minutes away. If you’re driving in from the east you can arrive here before you hit city traffic, so it’s perfect for late-night or rush-hour arrivals. Any attractions on the Southside are also easy to get to from here, including Sox Park, the University of Chicago, the Museum of Science and Industry, Soldier Field, and McCormick Place. It’s also close to a beach and the Indiana casinos.